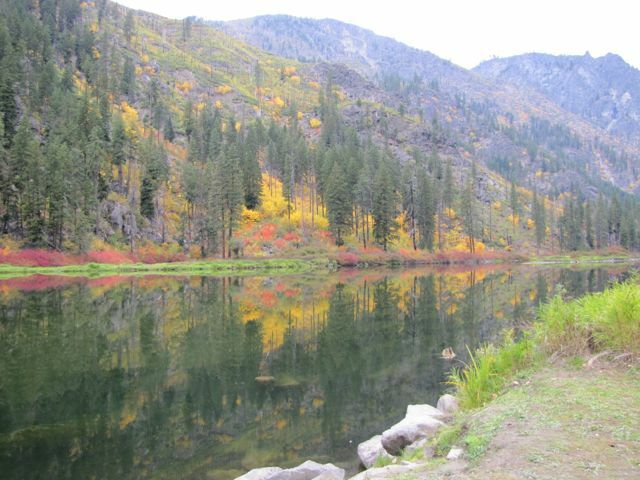 Maybe Ricochet should have a meetup in Leavenworth some time. Maybe in December for the tree-lighting? We could possibly get people from Eastern WA to come for that. The kids would love it! Not sure I want to inflict Snowqualime Pass on anybody! It’s not Snoqualmie, it’s Stevens Pass. And it’s really beautiful in the winter. Yesterday, it was bare and dry and sunny all the way. Pat, Leavenworth is known as Washington’s Bavarian Village, with many of its buildings having German-style facades. 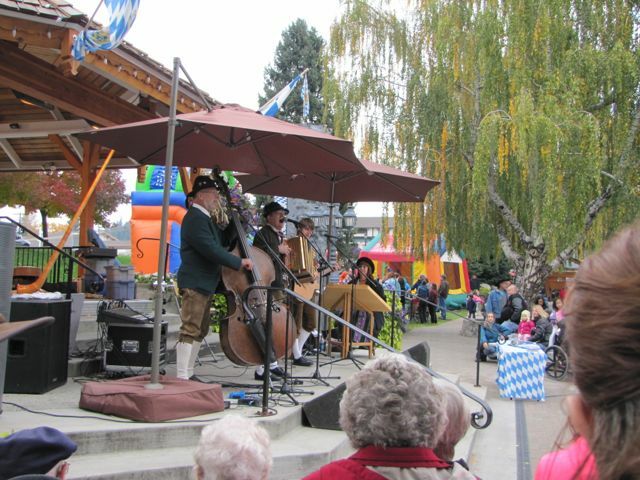 In the summer, they have the Leavenworth International Accordion Celebration, and players and bands come from all over the world to compete. Oktoberfest is a really big deal in Leavenworth, and the streets were totally packed with people yesterday (and every weekend in October). The AlpenFolk are local, and they’re fun to listen to. Fun!! My dad’s parents came to Allentown PA around 1914 & Dad grew up in the German neighborhood there. When my g’parents were still alive we’d go to wedding receptions at the Liderkrantz club, I have dizzy memories of being spun like a top with Uncle Walter during the polkas. Nice to remember!